Go to ‘Applications‘ and ‘UPnP Media Server‘ and enable the service by ticking the checkbox says ‘Enabled UPnP Media Server‘ and click on ‘Apply‘. 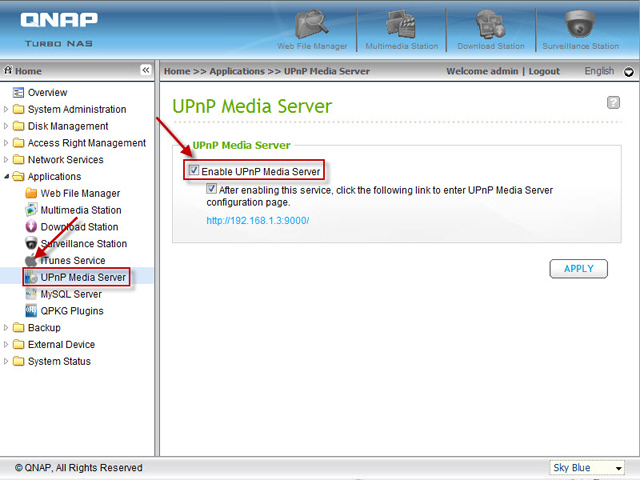 The UPnP Media Server function is now ready! Point your browser to ‘http://TurboNAS IP:9000/‘, you will enter TwonkyMedia configuration page. You can specify the locations of the contents you would like to share in your home network under the ‘Content Locations‘. Simply type in the path to the contents on your QNAP NAS (default folder is Qmultimedia). In the example, we added an extra share /Qdownload. For ease of browsing if you have a large amount of media contents, you can configure the navigation tree for your photos, videos, and music. 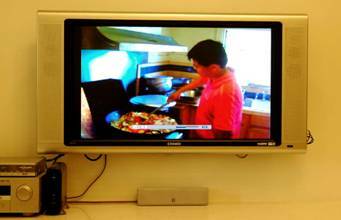 This powerful feature lets you pick your media contents on TV easily. You can now move the mp3, pictures or video to the Qmultimedia folder or any custom folders you added via Windows mapped drives or FTP to the QNAP Turbo NAS for your HD media players. 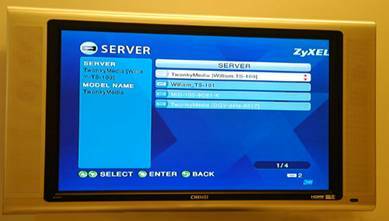 Turn on the TV that is connected to the DMP, you can select the options available by the remote control of the DMP. 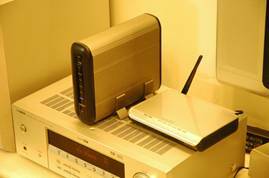 The DMP will find Turbo NAS on the network. An option “My TS-109″ will be displayed on the screen. 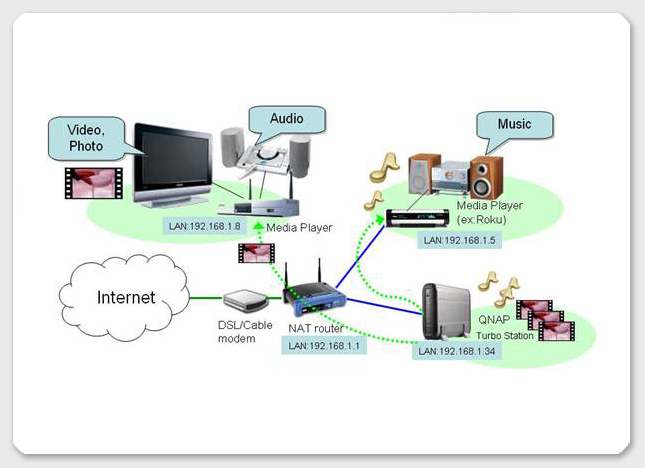 You will find the photos, video and music shared by the specified folder on Turbo NAS. 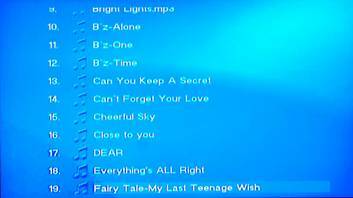 You can use the DMP remote control to select and play the files. Use your remote of the DMP. 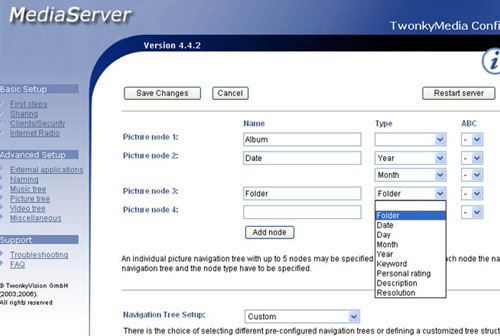 Select to enter the “Server” page, you will find your Turbo NAS is automatically found by your DMP. 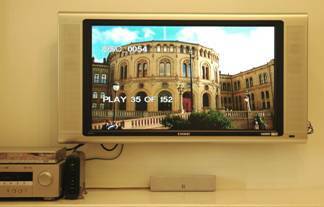 You can then select to enjoy the videos or photos on your TV, also to play your MP3 music or Internet Radio streamed from your Turbo NAS. The UPnP Media Server of Turbo NAS enables you to save mp3 and other multimedia files collectively on Turbo NAS and share these files on LAN. 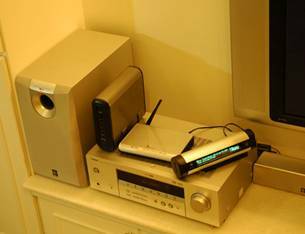 With DLNA DMP device, the files can be played by stereo acoustic system and LCD TV independent of PC. 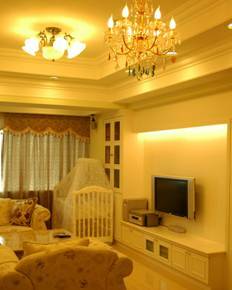 It is small-sized, stylish, and an ideal choice for setting up digital home environment.